Steven Cooper is an artist/rapper based out of Kansas City, MO who’s starting to make a name for himself in the pop/hip-hop world. Currently he’s giving away his album “Stereotype” for FREE until it hits 100K downloads before releasing any new material. 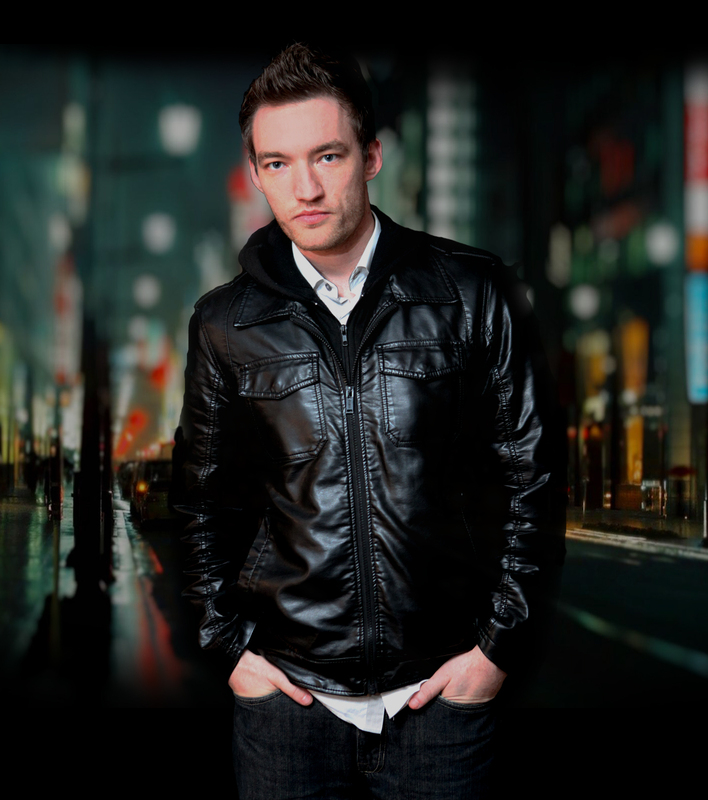 His music is anthemic, positive and inspirational which is a refreshing direction to instill in the youth. Haley Smilow is a lucky baseball fan/writer/reporter. 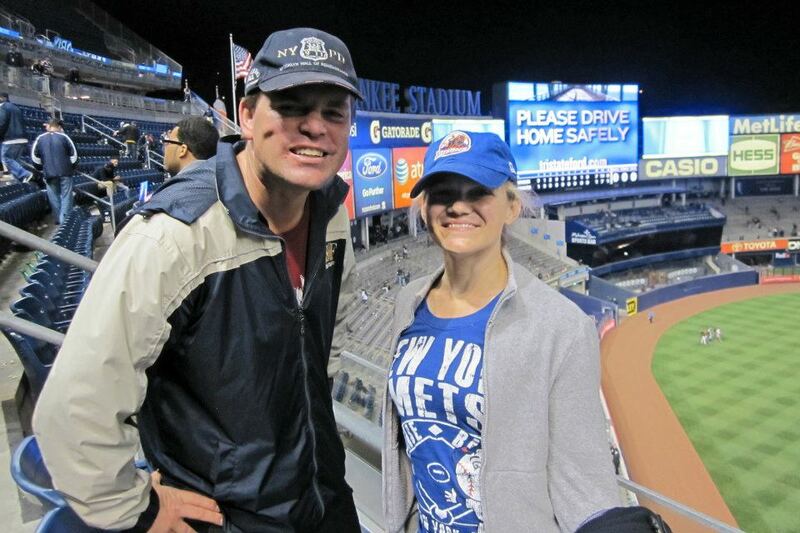 Recently this summer, she was able to interview Justin Turner of the New York Mets at Citi Field in New York City. 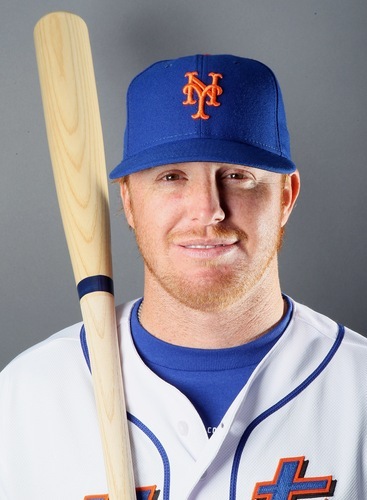 Of course, Justin Turner also has been featured in other blog posts – because our Guest Baseball Writer and Reporter “Lori Martini”, was fortunate enough to also meet the Mets Second Baseman on the field in Flushing Meadows – when she had her song “Believe” featured as a pregame song one day,. Turner would later adopt the tune as his ‘walkup song’ for the rest of the 2011 season. So it doesn’t surprise me that he would be so accommodating with his time with Haley. Like always, Haley asked Turner several questions that he was not accustomed to fielding from other reporters. I am sure that is why he was so enthusiastic about the conversation. We are very proud of Haley at this site – for also recently being featured in a NY Times article, that showcased her as bright young star. You can check out that article here. Earlier this year, I had the great honor of meeting Lori Martini. She was instrumental in helping me set the ‘World Record for Fastest To See All 30 MLB Parks’ in April, by attending 10 Games with me. We had a nice little media blitz around the whole trip. 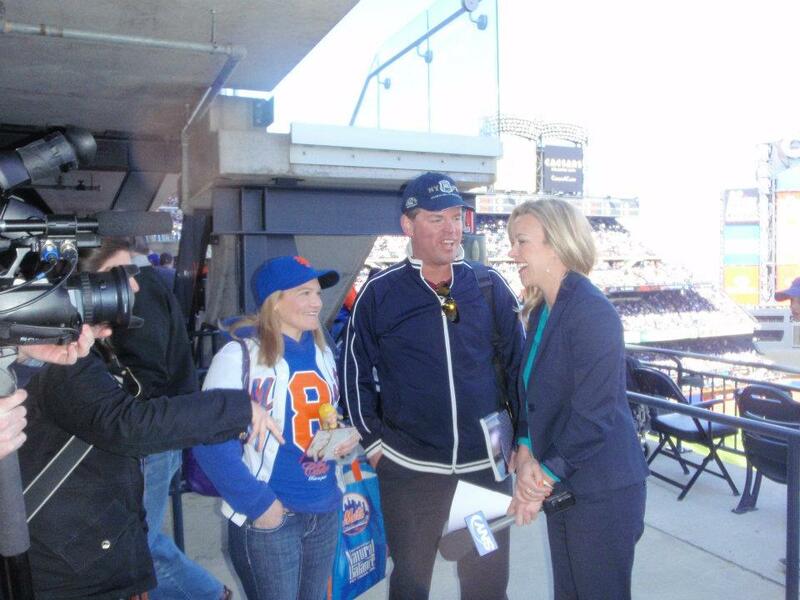 I even interviewed Lori as our Citi Field Expert. 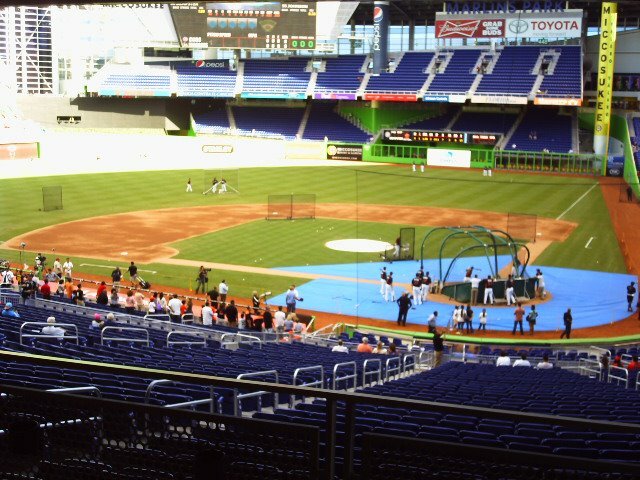 The next week, she wrote a great review about the New Marlins Ball Park, that is one of the highest viewed on the internet and has also written a few other articles. Later on in the summer, Lori interviewed Yankees Prospect Tyler Austin for the MLB Reports. Before any of this all happened, I was already a fan of Lori’s music prior to meeting her in person. Her songwriting is incredible and she is finally receiving some recognition for it. Lori has now used that recognition for a greater cause…. 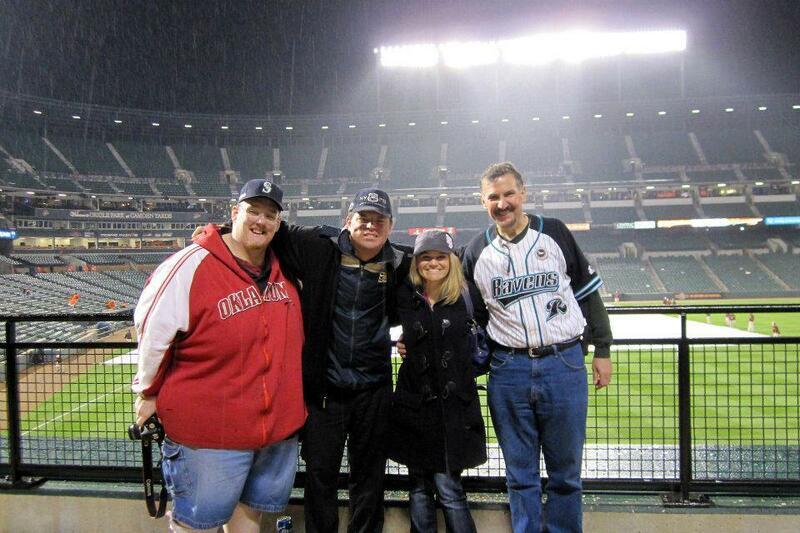 Lori Martini (Baseball Writer- and @LoriMartini on Twitter): Baseball is my life. Heck, if I could get paid for playing softball- I would have the greatest, happiest job in the world! I’m sure anyone who has played the game feels the same way. So many players go through the system and either get overlooked, marred by injuries or simply can’t perform up to major league standards. Aside from all of that, there are the politics and life in general that can get in the way of success. So when we see athletes like Lance Armstrong and Mike Lowell, not only overcoming testicular cancer, but rising to the top of their respective sport, one cannot help but feel completely inspired. These guys did NOT give up and in fact, they fought harder than anyone. Given the success they have experienced, the hard work certainly paid off. Which brings me to a very special ballplayer and today’s feature subject, Tyler Austin. Chuck Booth (Lead Baseball Writer and @chuckbooth 3024 on twitter)- I had the privilege to meet Roger Ratzenberger in person while I was on my Guinness World Record quest in April, (yes folks he is related to John Ratzenberger, the guy who played Cliff Clavin on Cheers for the show’s duration, they are cousins.) Roger could not have been a cooler guy to hang out with. 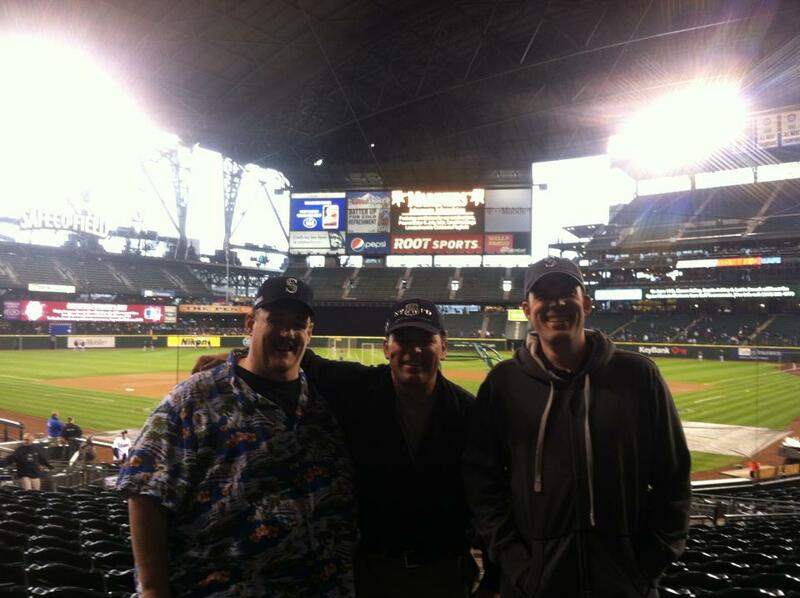 I first met Roger on http://www.ballparkchasers.com over 4 years ago. Quickly I saw that he had been to all 30 MLB parks and a lot of defunct baseball parks. 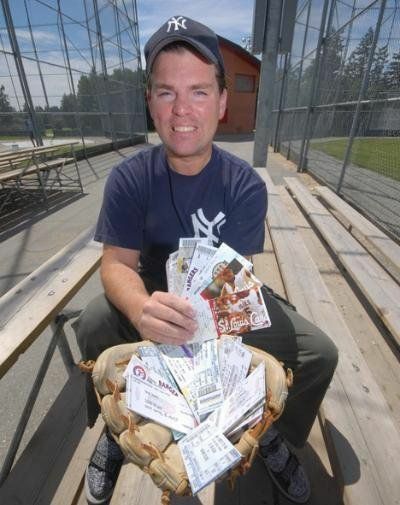 His family have been rabid baseball park aficionado’s for almost a century. 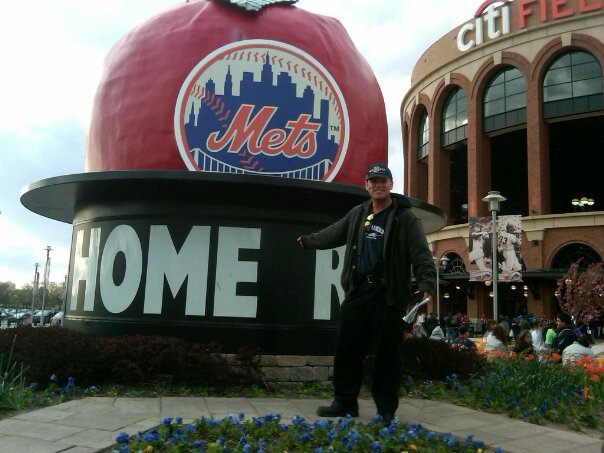 Roger is a lifelong Mets fan but also has spent many of years traveling to other parks around North America and the World. One of Roger’s favorite parks is Camden Yards. Lori Martini(Baseball Writer and @lorimartini on Twitter)– We don’t always remember exactly when certain events have happened in our lives and at what ages, but baseball and music gives us a pretty good reference and timeline as to when certain occurrences took place. 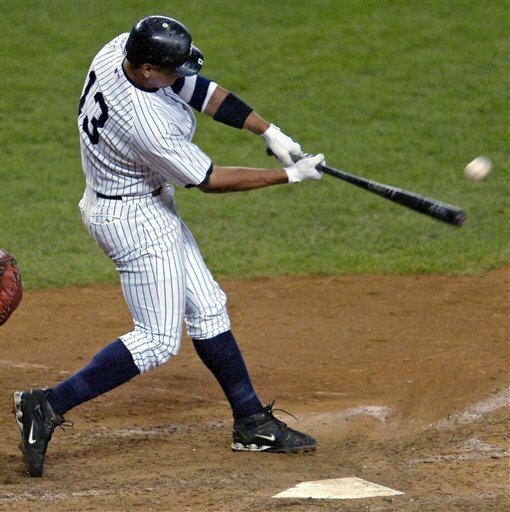 It’s no wonder music plays such an integral part in baseball and throughout sports. Being a songwriter myself and having been honored that Justin Turner chose my song “Believe” as his walk-up song all last summer, I can only hope some day more players will walk up to more songs that I continue to write. I remember Derek Bell walked up to “Big Pimpin’” by Jay-Z. I can automatically tell you that the song was released in 2000 and that is when Bell played for the Mets. In fact, I’m such a huge Mets fan that I don’t even have to look at the scoreboard or the plate- I’ll instantly know which player is up to bat or who came in for a pitching change just based on their music choice. 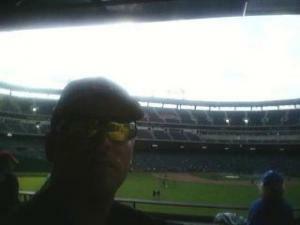 When I started my ballpark chasing in 2000, I followed the Mets to most of the stadiums. I would meet new friends on the road including one of my best friends, Gabriel Lee who not only shares the same birthday (month/day AND year), but he also has a passion for music and manages a band called Ceasefire in LA. I met Gabriel through Rachel (Roa) Apodaca who inadvertently met my friend Indira who I’ve know from Midwood High School and is a fellow lunatic Mets fan like myself in a baseball chat room. I’d go to games with friends and start singing the Mets walk-up songs when they were on the road. I had Rachel and her sister Kristen involved in the whole ordeal when my team was playing against theirs! Gabriel also had a friend, Ted who joined us at Mets vs. Dodger games in LA. Being that I was older I quickly noticed that Ted liked Rachel and I told her that. She didn’t believe me at first, but shortly after they started dating and now they’re married and have a daughter Brianna who is now as big a fan as us (and has a HUGE crush on Matt Kemp….ssshhh). Brianna met him so often that he knows who she is. She even plays softball and wants to be a catcher like Mike Piazza. 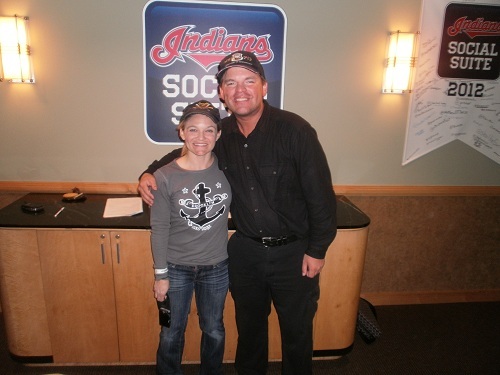 Chuck Booth and Lori Martini being interviewed by ‘Did The Tribe Win Last Night’ Blog at the Social Suite at Progressive Field. Chuck Booth (Lead Baseball Writer and @chuckbooth3024 on twitter)- My stay in Tampa Bay was a nice one the night before(despite having to commandeering a neighboring hotel just to do some laundry at midnight.) I was too fired up to sleep and there was no chance at all I would risk sleeping in on this day. I had known for a while that this was going to be an epic day. Since the fallout of the missed doubleheader for Cleveland and Baltimore was first established on that San Diego flight, I looked forward to this day thoroughly. 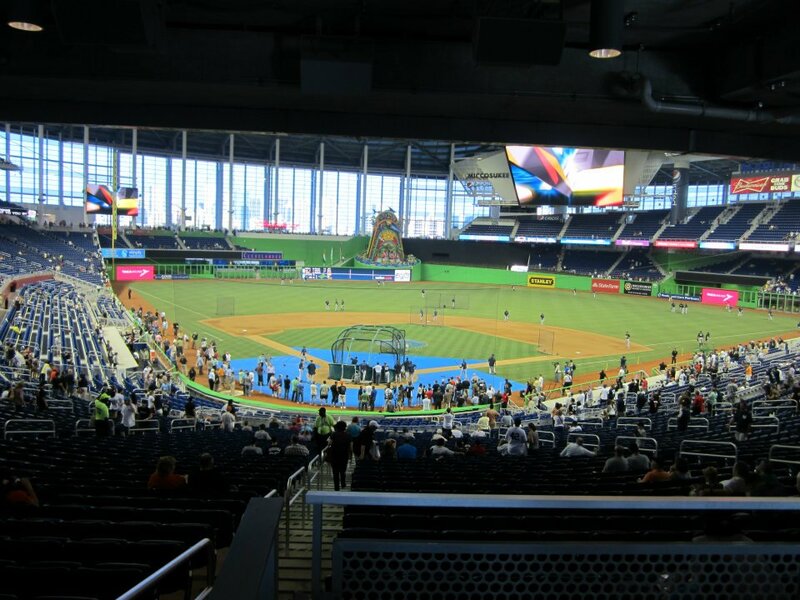 MLB reports – Jonathan Hacohen: For those of us that live the game of baseball, we know that baseball becomes part of many facets of our existence. Aside from watching baseball, we talk about it, debate it, read about it and think about it. Baseball consumes us pretty much 24/7…and we wouldn’t have it any other way! But to become “well-rounded” baseball aficionados, many fans read baseball books and watch baseball movies. I have spent many hours talking to our readers about their favorite baseball books and movies of all-time. While I have reviewed many baseball books for you, I have not actually had the pleasure of reviewing a baseball film. Until today. Featured on MLB reports, I am proud to present our first Baseball Movie Review. Starring Lori Martini, the film is called “Caught”. Caught is not your typical “feel good” baseball movie. Definitely not a cookie-cutter film. It is a short film…but man, it packs a strong punch. I won’t ruin the film for you by giving away the story. But I will say that I loved the use of baseball as a focal point in the storyline of this film. For the young girl Hannah (played by Lori Martini), her life is a troubled one. With a difficult family life centered around her troubled mother and brother, her ultimate refuge is the diamond. Behind the plate as a catcher, she is safe. Nobody can harm her there. For many ball fans, either as players and/or spectators, we can relate to the effect that the game has on our own lives. Baseball is ultimately an escape. Our sanctuary. Where the troubles in our lives can’t hurt us. That message really hit home for me watching Caught and I can see how many baseball fans will feel the same connection in watching life through Hannah’s life. I have to admit that I was blown away by Martini’s performance in the film. Not only is she a songwriter, but she also wrote and co-produced the film. This talented young lady played many roles in helping Caught make it to the big screen. The script was strong, with well written dialogue and flow to the film. But ultimately, it was Martini’s presence on the screen that won me over. She has a powerful presence. While Martini had a strong supporting cast around her, the film is driven through her character. 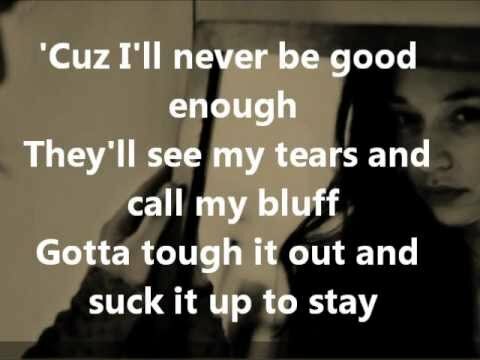 I felt Hannah’s words as she spoke. A good actor/actress lives the role that they play. They are not acting- rather, they are the person they are playing. In Caught, Martini was Hannah. She was that rough and tough catcher behind the plate. She was that girl who loved to play baseball and always gave it her all. On the field and in life. No matter how hard things became around her, Hannah battled. Much like Martini in real life. Keep an eye on lorimartini.com to find out when Caught will be featured in a movie theatre near you. If you get the chance to watch it, I highly suggest you do so. Life is not always about perfect Hollywood endings. Life can be hard. For an escape into a dramatic life that plays out on the softball field, watch Catch. 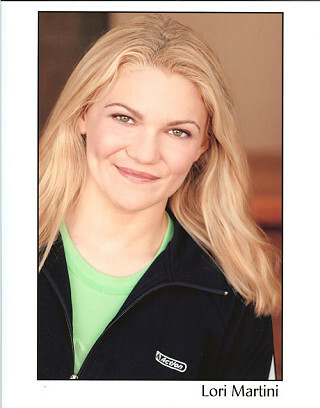 Martini was named Best Actress in the 2011 Staten Island Film Festival for a reason. 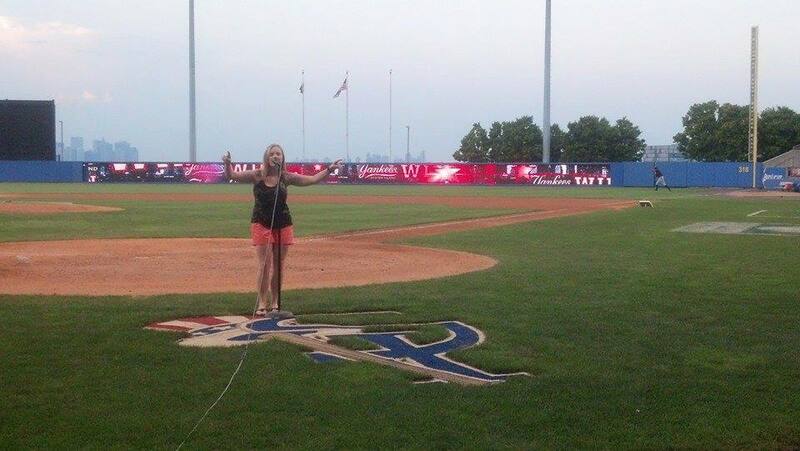 This lady loves baseball with every ounce of her being. Now get ready to watch her baseball masterpiece with your own eyes. Please e-mail us at: mlbreports@me.com with any questions and feedback. You can follow us on Twitter and become a fan on Facebook . To subscribe to our website and have the daily Reports sent directly to your inbox , click here and follow the link at the top of our homepage. 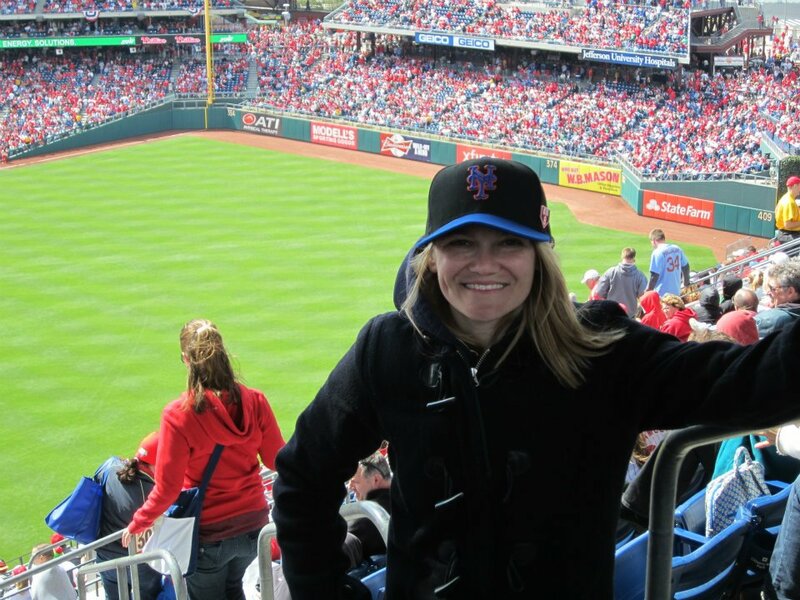 Lori Martini at Citizens Bank Park at the April.9th game on Opening Day 2012. The Phillies are at a 102% sellout rate capacity and don’t need dynamic pricing like some of the other clubs that are featured in this article. 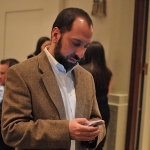 Chuck Booth (Lead Baseball Writer)Follow @chuckbooth3024– Last year when I applied for the MLB FanCave, I did so with mixed emotions. While the job looked like an awesome experience, it also would never be as exciting as going to the baseball games live. Due to my waiting around for MLB’s decision on the chosen winners, I failed to plan for any extensive road trips last year. I am not disappointed that I didn’t win. Mike O’ Hara and Ryan Wagner did a fantastic job and were completely qualified. What the verdict left me was a desire to prove a point that I have been trying to establish for the last 4 years. 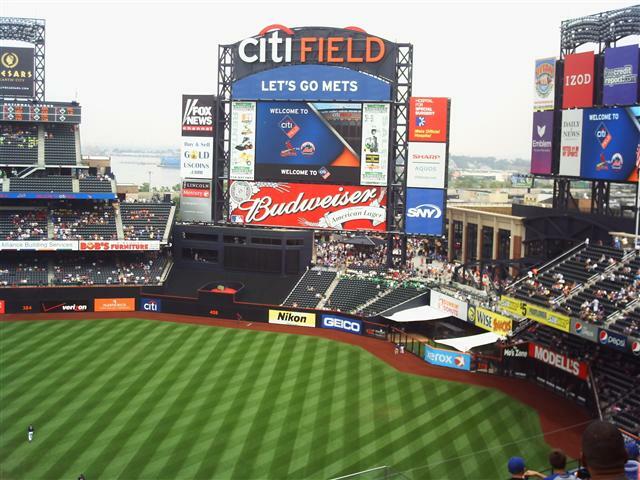 MLB’s 30 Baseball Parks provide the best marketing tool that this entity may ever want. It is my ultimate goal to show that people would rather go to the games live. Chasing down the Guinness Book of World Record for visiting all parks in the least amount of days has a plethora of emotions that run through ones body. It is both an adrenaline rush and a hyper vigilant anxiety clashing for every day I am on the road. In my 2 minute video that I sent for the FanCave, I told them that “you either hire me or I am going to end up doing this on my own anyway!” So I intend to go on a 30 MLB Park journey every year from now until MLB decides to pay me a salary. 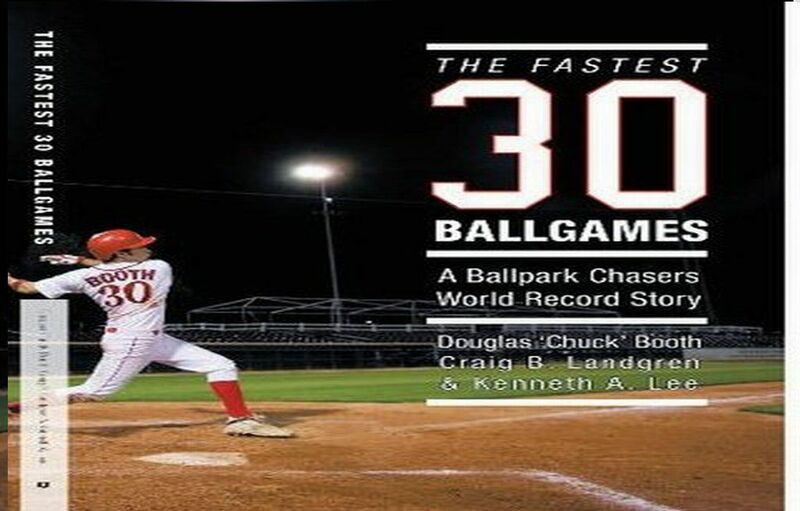 To give our readers the kind of insight and information that make these ballparks the best fan experiences in Major League Sports, I have sought out some of the greatest experts in the field of ballpark chasing. Every park will have a Park Preview, an Expert Interview and a Post Game/Streak Synopsis. Our first expert interview is Lori Martini.